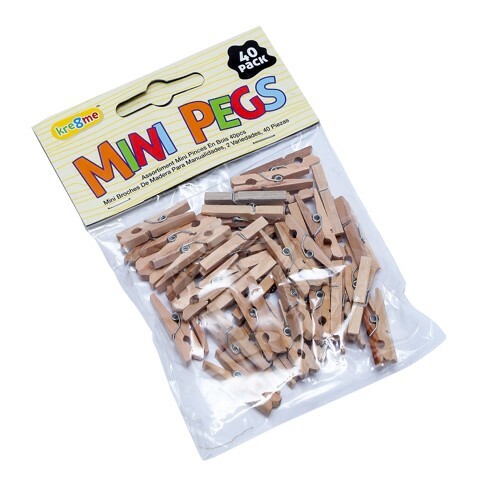 Craft Pegs Mini Standard 24Pc. 3cm. Natural Wood Colour. Wood. 0 Packaging: Polybag Header Card.